We are a renowned firm involved in manufacturing superior grade Wood Splitter. These are precisely designed by our professionals following the international quality standards. Our procuring agents ensure that the raw material for the product are procured from some of the moat reliable vendors in this industry. Clients can avail these from us in different grades and specifications. 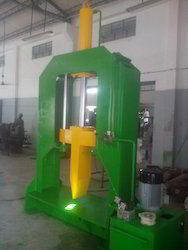 We are Looking for manufacturers and suppliers of Wood Splitter. Sindi, Vidisha, Jabalpur, Bhopal, Hoshangabad, Indore, Rewa, Satna, Shahdol, Chhindwara. Jaipur, Barmer, Dungarpur, Jodhpur, Kota, Udaipur, Bikaner, Dausa, Bundi, Sikar, Tonk, Jaisalmer, Nagaur, Rajsamand, Banswara, Bhilwara, Ajmer, Alwar, Bharatpur, Chittorgarh. Looking for Wood Splitter Machine ?